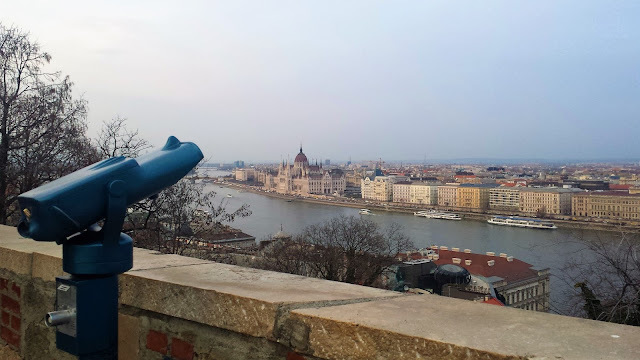 Whether you've got 3 hours or 3 days in Budapest, these suggestions will get you off on the right foot and on your way! Call me a bum, but I definitely hitched a ride to Vienna first with Marc's basketball club on their way to their annual tournament. 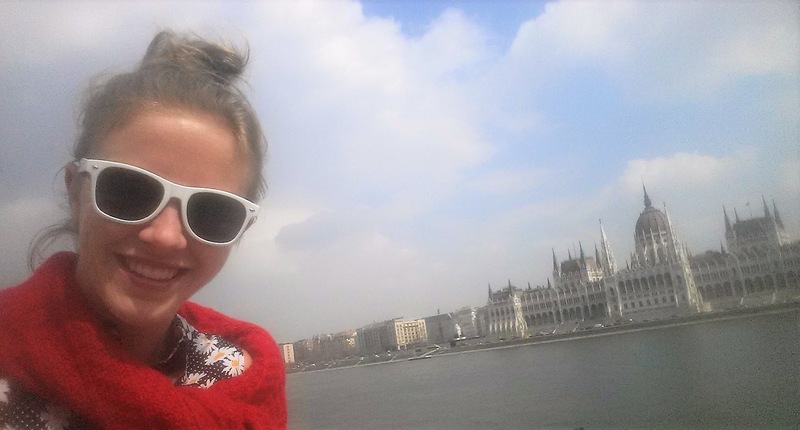 From Vienna, I took a just-over-two-hours train ride to Budapest-Keleti station. I only paid a total of 31 Euros round trip because I got the cheap city-to-city pricing ("Sparpreis" or "Sparschein") on the Austrian train website, oebb.at. 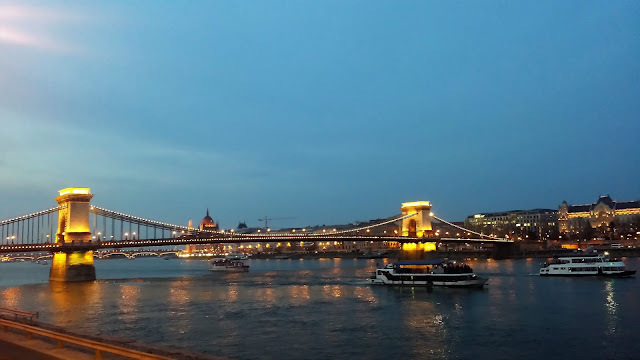 There are also cheap plane tickets into Budapest, or you can opt for a pricier option and take a Danube River cruise into town. Struggle through the math! 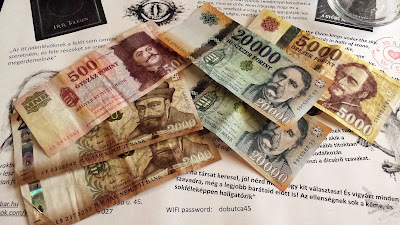 Ultimately, I went with 160 Euros, and got about 50,000 Hungarian Forints for it at the best exchange rate place in the city: Correct Change. There are several Correct Change stores in the center, just find the one most convenient for you. I researched this for hours on the internet, and Correct Change has the lowest rates for both buying and selling those ridiculous Forints. After you exchange, revel in the fact that if all your savings were in Hungary, you'd probably be a millionaire. This is NOT a photo of the hostel. Treestyle Hostel is seriously one of the best hostels I've ever stayed at, and the price was UNDER 10 Euros per night. In an all-female 6-bed dorm room. With our own private bathroom and an extra sink. The end of March during Easter vacation is not the high season, but it's not the low season, either! 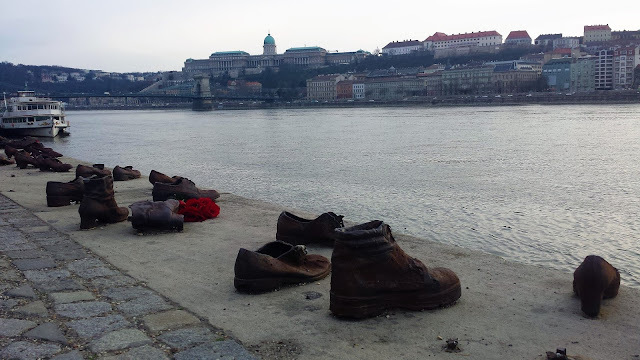 So besides the unbeatable value, the location was awesome, right in the heart of the Pest side, and everything was clean and relatively new. I found this hostel on booking.com, where I've actually been finding more and more of my accommodation options now that AirBnB is not as competitive anymore. You can use my referral code to book your next trip on booking.com, and we'll both get $20! Not a bad deal for either of us! First of all, when I know I've only got 3 days in a city, I do not try to kill my feet and see every little thing right away. There's a good chance I'll be back in town again someday and can dive deeper the next time. I mean: I live in Europe. 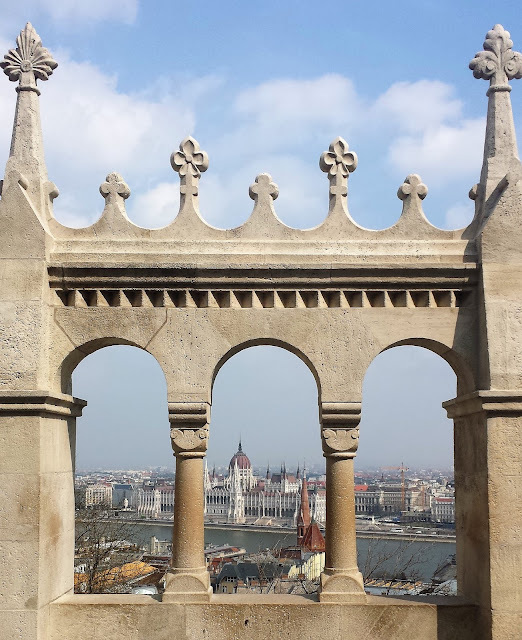 That being said, I decided to leave out two specific areas to save for the next time I return: the Citadella hill and the Vajdahunyad Castle and park. If you're staying close to these two places, they are definitely worth the effort, but were not part of my itinerary this time around. 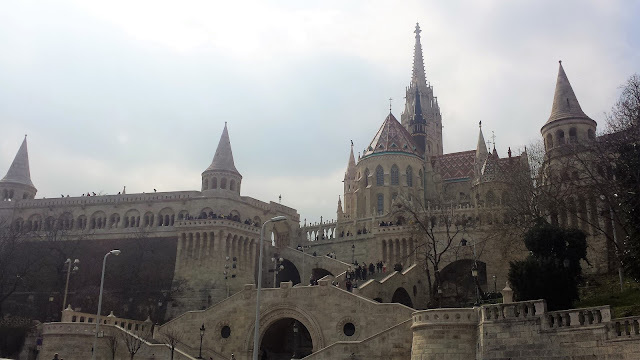 I did wander over and around many of the hills on the Buda side, and down random streets on the Pest side. 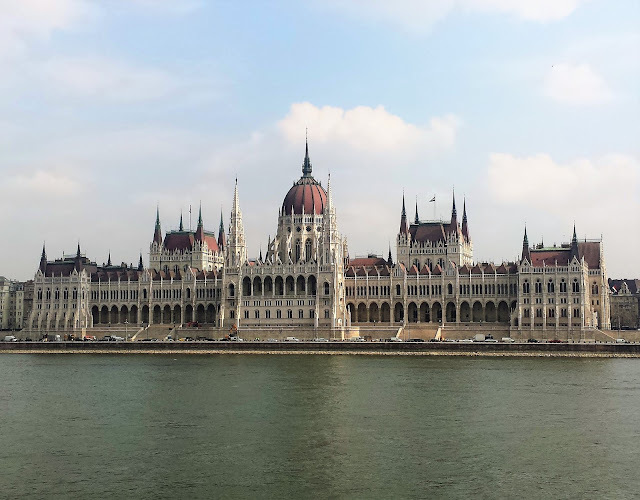 Some of the highlights included: Fisherman's Bastion, Matthias Church, Széchenyi Chain Bridge, Hungarian Parliament Building, the Shoes on the Danube, St. Stephen's Basilica, and the Dohány Street Synagogue. Okay, maybe I do walk around a bit more than most people. The ruin pubs are at least as cool as everyone says they are - if not even cooler! The most famous one, Szimpla Kert, does not disappoint with spontaneous and chaotic designs and displays, in addition to affordable drinks and food. There were so many different rooms to explore, and all had their own bar, music, and vibe. Yet somehow, the whole place fit together like a glove. The craziest and most creative thing I saw were old school Macintosh computer monitors that had had their screens gutted out and were hanging from the ceiling with bulbs inside as light fixtures. 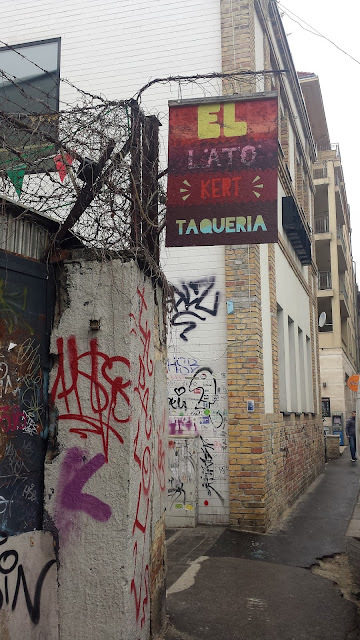 A Hungarian volleyball player referred me to Ellato Kert & Taqueria because - OMG - it's a Mexican food ruin pub. Hands down the best tacos I've had this side of the Atlantic!!! I was too busy eating to take pictures, so you'll just have to take my word for it. The drinks were all cheaper here than Szimpla Kert, too. Also of note, entering this ruin pub looks like you're walking into the lab of a serial killer, so just take a deep breath, keep moving forward, and commit to these tacos. 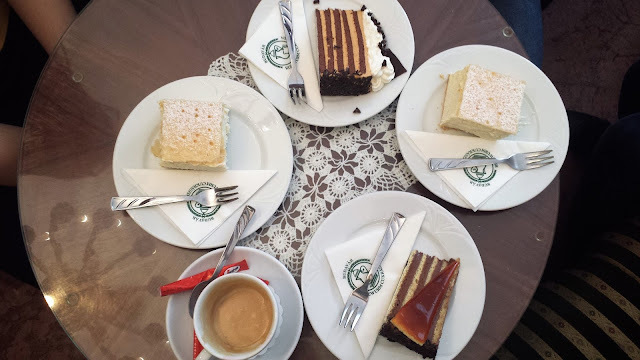 The Ruszwurm Confectionary also lived up to its hype, showing off its delicious cakes. I was surprised at how small and cosy the inside of the cafe was, but that ended up to my advantage when three American study abroad students joined me at my table! We had a marvelous discussion about Europe, travel, and education, and it also meant my table photo included a whole lot more cake. 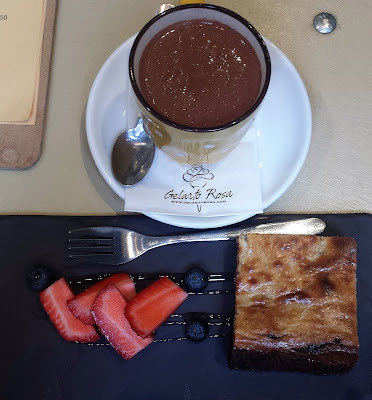 I can honestly say that all the food I had in Budapest was awesome. The math for doing the currency conversion was not awesome, but generally, even the nice restaurants were not super expensive. Other great places I had the time to go to were: Marvelosa Restaurant, New York Cafe, KonyvBar & Restaurant, Gelarto Rosa, and Basil Ica Salad & Pancake Bar. There are about 20 other places I still want to try in Budapest, so clearly, a revisit is necessary. One of the biggest attractions for me in Budapest was the amount of thermal baths. After way too much time thinking about which one to go to this first time, I finally settled on Rudas Baths at the foot of the Citadella. I should have done a better job on which day of the week I went because the steam baths were only open to men on Thursdays. But I was able to enjoy the panoramic hot tub on the 3rd floor roof, even on a rainy day! For all the Budapest thermal baths, you should bring your own flip-flops, towel, and plastic bag to carry home your wet bathing suit. I did not have any of these things with me, but I managed anyway and took a nap by the pool to air-dry as best I could before stuffing my wet suit in the crevices of my umbrella for the walk home. Hey, make it work, right?! Every time I visit a large city, I search high and low for any kind of place that will play jazz and/or swing music. 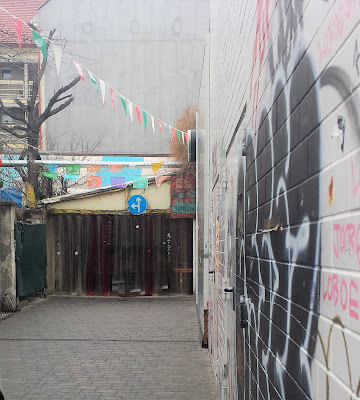 In Budapest, Google helped me find the Lado Cafe, and it was just a five minute walk from my hostel. This was my favorite experience in Budapest. 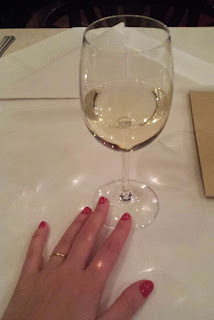 The dinner was lovely, the restaurant was large and full, but never felt crowded, and the live band was delightful. I knew every song they played and was glad I stayed the full two hours (starts at 8:00 p.m. and ends at 10:00 p.m.). The only flaw with this place is that the live music doesn't last longer! 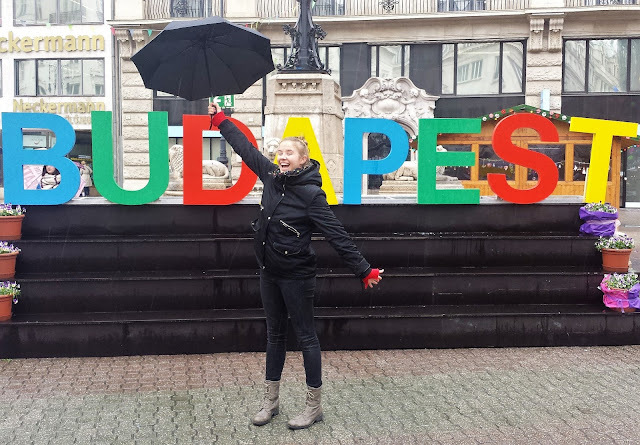 Another fun moment on my last day was running into the BUDAPEST sign. Don't know what it is about giant letters, but it's always making for fun pictures! 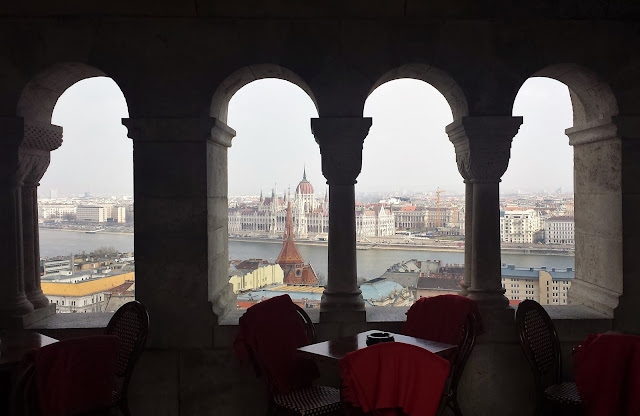 Did you find other cool places to hang out in Budapest? MORE: THOUGHTS IN BUDAPEST VLOG!